A Saskatoon family is devastated after losing the house they were living in and all of their belongings after a fire in the Pleasant Hill neighbourhood on Wednesday afternoon. 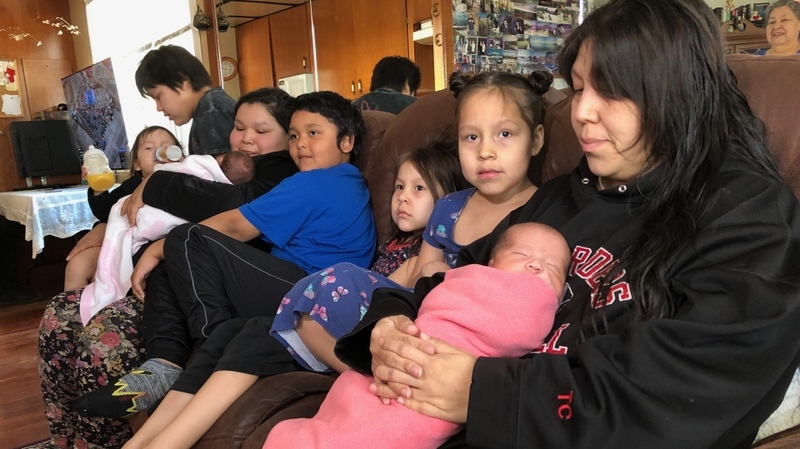 Bertha Asapace has seven kids, including three-week-old twins. She had a C-section and has a hard time moving around. Although she and her family all managed to escape the fire, they are now left to pick up the pieces and find a way to rebuild their life. Asapace said they lost everything in the fire. Asapace said she was sleeping with her twins when the fire alarm went off. She said smoke was coming out of her boys’ bedroom where the mattress was on fire. Asapace said she only had time to save her children. Asapace has been renting the house in the 100 block of Avenue U South since January and she did not have insurance. Now, she and her children are staying at her mother’s boyfriend’s house. In total, 12 people are staying there. Asapace’s niece, Khrista Kakum, said there isn’t enough space for everyone. Asapace said she spoke to a social worker who gave her a $100 voucher. She was also told that she could stay at a shelter but five kids is the limit. “That is such a slap in the face,” said Kakum. So, Kakum decided to start a GoFundMe page. The fire department said a faulty electrical outlet is to blame. Damage is estimated at $80,000. In the meantime, Asapace said she hopes to get some more support for housing and for milk and diapers.